The first printed edition of the Hebrew Bible was completed in Bologna on this day in 1482. Specifically, the edition was the Pentateuch, or Torah, which consists of the first five books of the Christian and Jewish Bibles - Genesis, Exodus, Leviticus, Numbers and Deuteronomy. 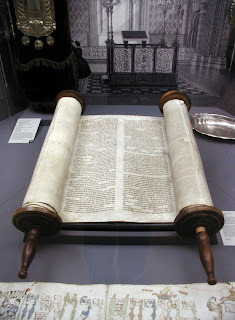 Torah, in Hebrew, means 'instruction'. The book was given that name because the stories within it, which essentially form the opening narrative of the history of the Jewish people, and the interpretations offered of them, were intended to set out the moral and religious obligations fundamental to the Jewish way of life. The book was the work of the Italian-Jewish printer Abraham ben Hayyim dei Tintori, from Pesaro. The text consisted of large, clear square letters, accompanied by a translation in the Jewish biblical language Aramaic and a commentary by Rashi, who had been the foremost biblical commentator of the Middle Ages. It was published and financed by Joseph ben Abraham, a member of the Caravita banking family in Bologna. The editor was the Hebrew scholar Yosef Hayyim ben Aaron, of Strasbourg. The printing press had been invented in Germany in 1439 by Johannes Gutenburg and presses were soon set up across Europe as news of the phenomenon - as revolutionary at the time as the word processor more than five centuries later - spread. 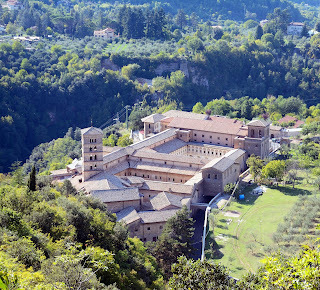 The technology reached Italy in 1464, when the German monks Arnold Pannartz and Konrad Sweinheim set up the Subiaco Press in the Abbey of Santa Scolastica at Subiaco, about 70km (43 miles) to the east of Rome. It is thought that Abraham ben Hayyim probably started as a textile printer and bookbinder at Pesaro. In 1477 he printed two Hebrew books at Ferrara. In Bologna, where he was employed as master printer for the wealthy Soncino family from just outside Milan, he became the first printer to find a solution for the difficult technical problem of adding vowels and cantillation signs to the previously vocalised biblical text. How many copies were printed is not known. Some 27 are known to exist in public collections, of which only 10 are complete. One of them, auctioned at Christie's in Paris in 2014, printed on vellum in an 18th century binding, achieved a price of €2.785 million ($3,866,578). Six years later, ben Hayyim completed the first printed edition of the whole of the Hebrew Bible, comprising the Neviim and Ketuvim as well as the Torah, at the Soncino press in the town of the same name, near Milan. 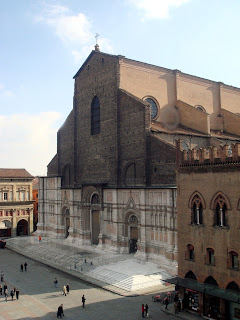 The origins of Bologna, one of Italy's most historic cities, can be traced back to 1,000BC or possibly earlier, with a settlement that was developed into an urban area by the Etruscans, the Celts and the Romans. The University of Bologna, the oldest in the world, was founded in 1088. Bologna's city centre, which has undergone substantial restoration since the 1970s, is one of the largest and best preserved historical centres in Italy, characterised by 38km (24 miles) of walkways protected by porticoes. At the heart of the city is the beautiful Piazza Maggiore, dominated by the Gothic Basilica of San Petronio, which at 132m long, 66m wide and with a facade that touches 51m at its tallest, is the 10th largest church in the world and the largest built in brick. Subiaco, a town on the eastern fringe of the Lazio region near the border with Abruzzo, is notable for its two abbeys, the Abbey of Santa Scolastica, and St Benedict's, where the Benedictine Order originated in the sixth century, the first of 12 monasteries built by St Benedict, who from the age of 14 lived for three years in a cave above the nearby Anio river. 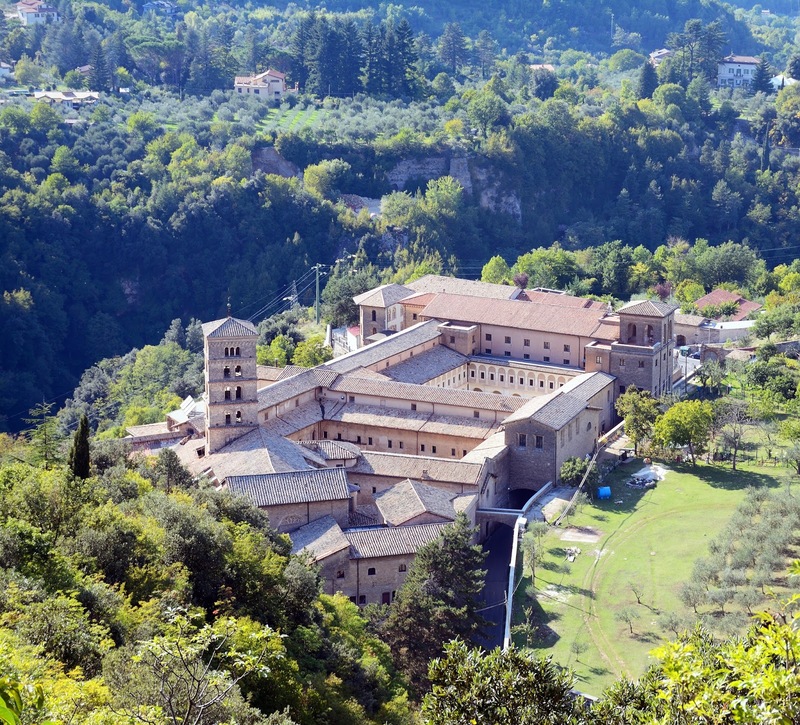 Over the centuries, many monks came to Subiaco from Germany, hence the presence of Pennartz and Sweinheim in 1464. Notable people born in Subiaco include Lucrezia Borgia and the actress, Gina Lollobrigida.